So here's the road-map for what's coming to WebEngine. This is a good time for you to make as many suggestions as possible as they might get included in the updates. If you have any questions about any of the listed features feel free to reply to this thread. so can i post all suggestions here? so no one can able to use 1.0.6 version right ? WebEngine 1.0.6 will be released sometime in the current month (February). Impatient to see the 1.0.6 ! 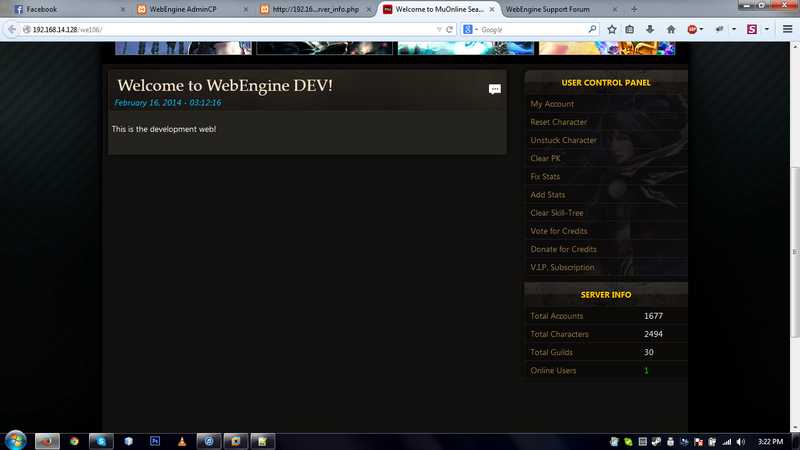 Hope it release soon..
Are you still going to update the premium webengine? Regarding the update, as you might noticed its been delayed. I'm sorry about that, but I am part of the staff of organizers of an engineering congress in my university which will be in less than a month so I have a ton of work to do and very little time. I won't be able to respond to support very quickly for the following 1 to 2 months so please be patient. Should we expect 1.0.6 delayed 1 to 2 months also? Ok so I'm back and will continue with WE development. Expect some updates very soon. 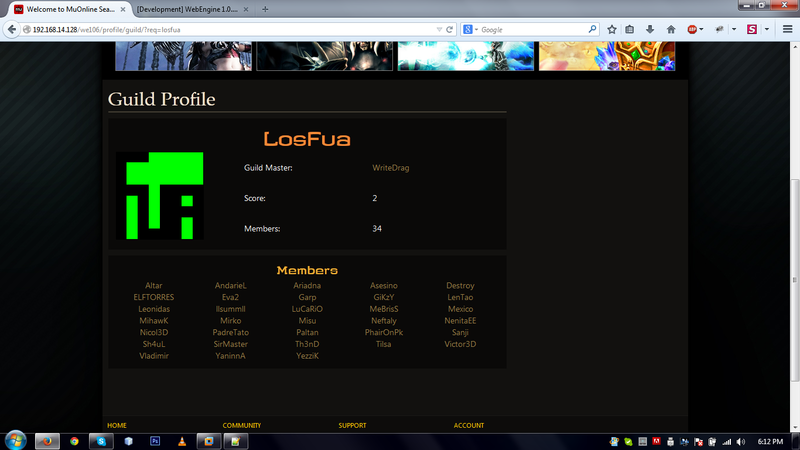 Preview of a guild profile, all the members of the guild are links that will take you to their profiles. The update should be ready within a few days. This will be the last 1.0.x update tho. After this we will have WebEngine 2.0 privately developed. 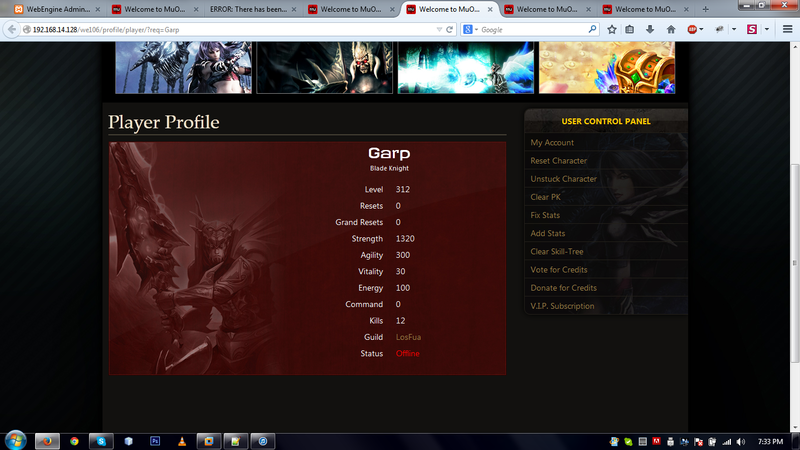 Just finished the sidebar server info.